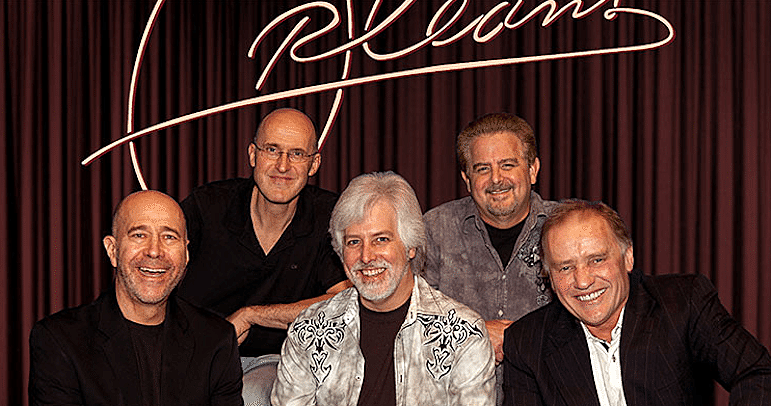 Orleans, whose hits include “Still the One” and “Dance With Me,” will headline the Legends of Country Rock Festival in July. Brian Kurth wanted to do something to help support the Billings Al Bedoo Shriners and he wanted to throw a party on his property a little west of town. The two desires will come together this summer in what he’s calling the Annual Elk River Reunion-Legends of Country Rock Festival. It will feature the bands Orleans, Poco, Firefall, the Mission Mountain Wood Band and Nye Express. The lineup will also include the Kurth & Taylor Band, featuring Brian’s brother Wally Kurth, an actor who lives in Los Angeles. The festival is scheduled for Saturday, July 22, on Brian Kurth’s property at Central Avenue and 56th Street West on a portable stage that organizers are calling the Cove Creek Outdoor Pavilion. Kurth said the portable structure “opens up into this giant, huge stage” with a high canvas roof and “big wings” on either side of the stage. “He just wanted to include his baby brother, so I’m coming home for the show,” Wally Kurth said.General admission tickets are $39.99 and VIP tickets are $49.99. They can be bought at the Shrine Auditorium and the High Horse Saloon and Eatery in Billings, or on the event website, elkrivermusicfestival.com. Festival-goers are encouraged to bring their own chairs, blankets and umbrellas for shade. Beer, non-alcoholic beverages and food from local vendors will be sold on site; vendors and other merchants can apply for space on the above website. People who want to spend the night on site in a tent or RV can do so for an extra $50. All proceeds will go to benefit activities of the Billings Al Bedoo Shriners. Brian Kurth said he has been involved in the Shrine for most of his life, as was his late father, Sidney. He was talking with some friends about how they could support the Shrine in light of what seem like inevitable reductions in the annual circus, long a mainstay of funding for the organization. That’s when he started thinking about how much fun it would be to throw a concert on his property, and how well that would fit in with Shrine history. When the Shrine built its auditorium on Broadwater Avenue, he said, it was the biggest building on this side of the state and was considered a premier concert venue. But Kurth had never put on a show before, so he invited Mitch Dimich in to help. Dimich is a promoter who used to organize the ZooGrass festivals and was also involved in efforts to build a permanent amphitheater in Billings. Kurth said the Dimich family also has a long relationship with the Shrine. Dimich also happened to share Kurth’s taste in music—basically the country rock Kurth listened to in the 1970s. Dimich rounded up the three main acts—Orleans, Poco and Firefall—through Skyline Music, which sends those bands and a mix of others on tours in which they share equipment, making it cheaper and easier to travel and to set and up take down shows. Then they added the two Montana bands, Mission Mountain and Nye Express, as well as Kurth & Taylor. Wally Kurth said he and Christian Taylor have been playing music together for 25 years, but they haven’t done a show since the Zoograss festival at ZooMontana in 2012. He said Taylor is busy in Nashville and both have young children. Kurth has also been busy acting in soap operas, working simultaneously on “Days of Our Lives” and “General Hospital,” the show he returned to last fall after a long hiatus. The band also performed on and produced songs for “General Hospital,” winning an Emmy in 2002 for “Barefoot Ballet,” written for the show. “We’re going to get it back together and we’re all excited,” Kurth said. He said the whole rhythm section lives in Santa Cruz, Calif., so they can rehearse all the songs before joining Kurth and Taylor in Billings. Kurth isn’t worried about playing together after a five-year break. Wally Kurth said his band will play for about 45 minutes and then he’ll act as the emcee for the rest of the festival. Organizers hope to announce additional concerts in the coming weeks, including another festival in August.